The death of Professor Konstantin Obradovic on 10 March 2000 left the Belgrade Centre for Human Rights without its founder and deputy director; the country’s scientific community lost one of the most eminent experts in public international law and the greatest expert in international humanitarian law. In memory of its esteemed founder, the Centre in 2000 established the Konstantin Obradovic Award for improving the human rights culture. 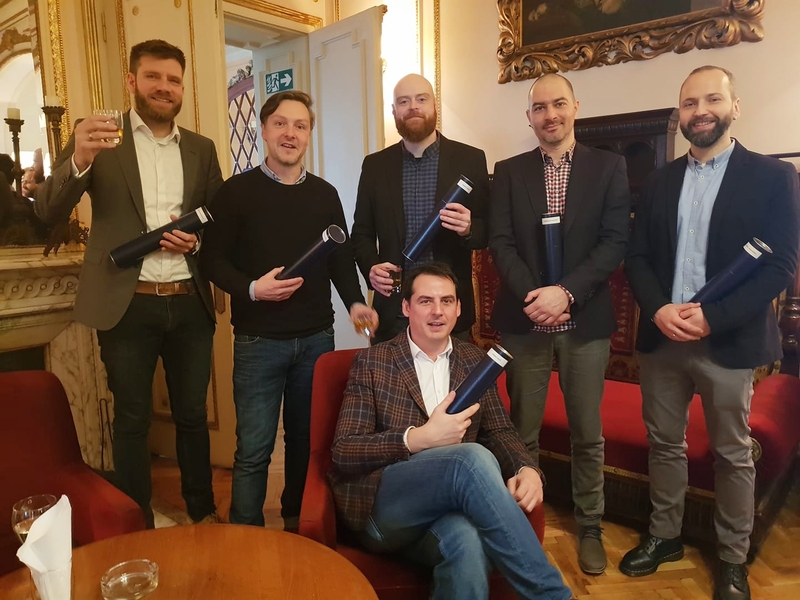 The annual prize is awarded on Human Rights Day and funded from the proceeds of the Bruno Kreisky prize for outstanding achievements in the area of human rights the Centre received in 2000. The jury, former FRY/SaM Ambassador to Mexico Vesna Pesic, Vesna Petrovic and Gordana Matkovic. 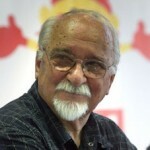 Political caricaturist Predrag Koraksić was born in Čačak in 1933. His career of caricaturist began in 1950. He worked in the newspaper Jež and afterwards for Večernje novosti, which dismissed him after a court trial in 1993. Corax began working for the independent daily Borba in 1989 but moved to Danas when the Milošević regime took over the paper. He had also drawn caricatures for Vreme since 1990. In October 2004, he was awarded the French Légion d’honneur. In his funny caricatures that have been appearing on an almost daily basis, he has been delighting the public with his piercing analysis of the political events, mostly in Serbia. Svetlana Lukić is a journalist, born in Belgrade in 1958. She holds a degree in journalism, obtained at the Belgrade College of Political Sciences. She was the editor and host of the cult political show Niko kao ja on Belgrade Radio II in the late eighties and early nineties. She spent the early nineties reporting on the wars in the former Yugoslavia. After a number of reprimands and suspensions, the last being for reporting from Sarajevo, she was dismissed from Radio Belgrade. Together with journalists coming from all parts of the former Yugoslavia, she spent the winter of 1993 sailing on and reporting from the Radio Ship (EC project). In 1995, she reported on the Storm and Lightning military operations and in the late nineties, from Kosovo. Phantom of Freedom, Road Sign and Hourglass are her best known projects. She has been awarded the following prizes: Jug Grizelj, Dušan Bogavac, Konstantin Obradović and the Belgrade City Journalism Award. 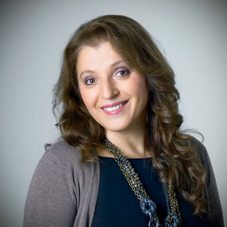 She has worked for B92 as a journalist, editor and show host since 1994 and has been conducting journalism training on investigative reporting. 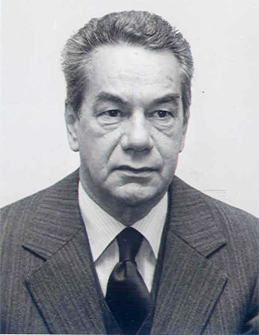 Milijov Despot was a long-standing judge and Department President of the Supreme Court. He was also an associate of “Republic” newspaper since its establishment and a member of the Forum for International Relations. He worked as a judge and manager for the Supreme Military Court and earned the rank of Major in the national Liberation war. Despot was devoted to humanitarian law in the international laws of war. 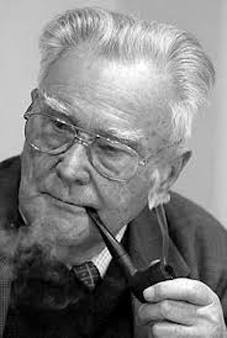 He was among the authors who wrote extensive guidelines on the implementation of the international laws of war in the Yugoslav Armed Forces, and participated on an international level in the codification of these laws. 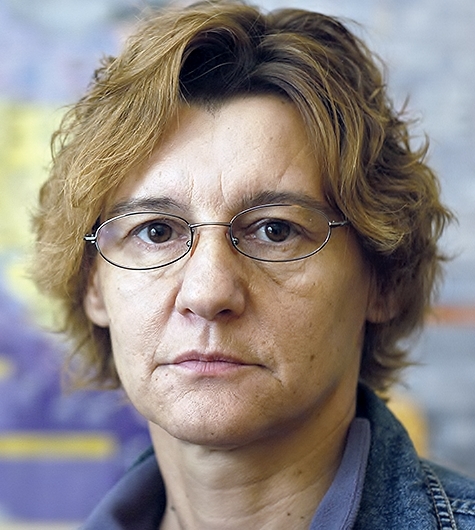 Gordana Matković, born in Belgrade on 15 March, 1960, is economist, demographer, expert on social policy. She obtained her Bachelor Degree at the Belgrade College of Economy and earned her PhD on demography at the College of Philosophy. She worked at the Belgrade Economic Institute (1984-2000) on projects related to labour market, demography and social policy, held the post of Minister of Social Issues in the governments of Zoran Đinđić and Zoran Živković (2000-2004) and greatly contributed to the reforms of the pension system, social protection and family relations. Director of the Social Policy Studies Department of the Centre for Liberal-Democratic Studies since 2004. 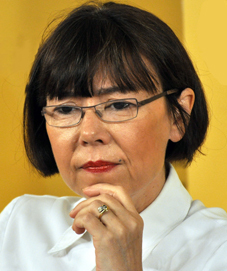 Serbian President Boris Tadic appointed her social issues adviser in 2007. Her son Jovan (born in 1988) is a talented guitarist of the group Prorock. Desimir Tošić was born in 1920 in Bela Palanka. He finished elementary school in Niš, where he started high school and moved to Belgrade in 1934, where he graduated from the Third Male High School. He involved himself in politics as a youth – he was a freshman of the Belgrade Law School in 1938 when he joined the then Democratic Party. He was elected a deputy of the FRY Federal Assembly at the 1992 elections. Tošić published 12 papers focussing on the problems of the communist system, social issues in the communist regime and short biographies of well-known politicians and other historical figures in the latter half of the 19th and the 20th centuries. In 2006, he published a book on the history of the Democratic Party in the 1920-1941 period. Tošić spent the last years of his life mostly in Serbia, but his Christmas and New Year holidays in the UK. He died in Oxford on 8 February 2008 and was buried in the Lane of the Great of the Belgrade New Cemetery on 11 February 2008. Dr Ivan Čolović, an ethnologist by profession, has recently become well known for his study, interpretation and critique of cultural developments in Serbia and the former Yugoslavia, and for fighting against intolerance, bigotry and violence. The books Čolović has published in the past two decades are a vivid testimony and analysis of the cultural (and uncultured) aspects of Yugoslavia’s disintegration and the degeneration of societies in Serbia and the neighbouring countries. They are an argumented and shattering condemnation of nationalist ideology and methodology. To name just a few: Literature at the Cemetery (1983), Wild Literature (two editions), The Time of Signs (1988), Eroticism and Literature (1990), The Warriors’ Whorehouse (three editions), Bursting with Health* (1994), One with the Other (1995), Politics of Symbol (two editions), When I Say Newspaper (two editions), Depth (2001) and Ethno (2006). Miroslav (Miša) Samardžič began to defend and advance human rights a quarter-century ago, as a fresh graduate of the Faculty of Political Sciences. Around this time, he joined an informal dissident group in Belgrade. He participated in the submission of petitions demanding the government to respect human rights. He devoted himself to helping people who were being discriminated for their political beliefs. He participated in organising dissident meetings and networking dissident groups from various parts of Yugoslavia. Today, he runs the Centre for the Development of Civil Society in Zrenjanin. Dedicated and persistent, brave and selfless, Miroslav Samardžić has earned himself the Konstantin Obradović award for his work towards the affirmation and defense of human rights. “Women in Black” were founded in October 1991 as Yugoslavia disintegrated and nationalist passions, war propaganda and general militarisation swept across the country. Ever since, this anti-militaristic, feminist women’s peace group has consistently, courageously and tirelessly been realising its programme of non-violent resistance to war, against militarism and ethnic homogenisation, and for encouraging various forms of solidarity, establishing a network of cooperation with similar groups in the world. Owing to its regional aspect, Women in Black simultaneously belongs to a broad international peace network defending jeopardised human rights. 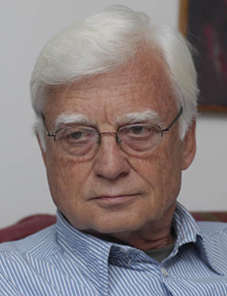 Mirko Đorđević, who holds a Master’s degree in literature, has for years now been a leading writer, translator and one of the best experts in and analysts of political, cultural and clerical circumstances in Serbia and the region. He has published a number of worthy books, including The Smile of Goddess Clio, The Signs of the Times, Freedom and Salvation, The Voice of Another Serbia – Anti-Diary, The Legend of the Decadent West, The Glitter and Misery of Utopia, a selection of texts entitled Serbian Conservative Thought. He has written for a number of magazines, newspapers, and spoken on a number of radio and TV stations. An excellent translator, he has also taken part in numerous scientific gatherings and international symposia, inter alia in Paris, Strasbourg, Vienna, Rome, the Vatican, Milan, Vicenza, Venice, Ljubljana, Zagreb, Belgrade, Sarajevo, Maribor, Subotica and Podgorica. 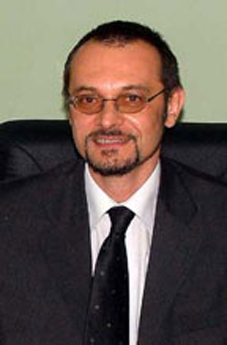 Dr Petar Teofilović was schooled in Novi Sad, where he obtained his law degree in 1986 and his Bachelor’s degree at the College of Philosophy in 1996. He obtained his Master’s Degree in Law in 1997 and his PhD in 2003 at the Budapest Central European University. He held the posts of assistant teacher in criminal law and administrative law at the Novi Sad Law School (in 1987 and 1990 respectively) but, like many others, was dismissed from his job. Born in Zrenjanin in 1939. Resident of Belgrade since 1958. 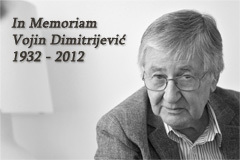 Earned his Bachelor’s Degree in law in Belgrade and his PhD at the Zagreb College of Philosophy in 1976. After completing his studies, began working at the “Đuro Salaj” Workers’ University, where he focussed on the education of workers.Nebojša was also one of the initiators of the Winter Philosophical Meetings held on Mt. Tara, Vrnjačka Banja and Mt. Divčibare, at which Dragoljub Ignjatović and Srdja Popović were arrested in 1974. Needless to say, Popov was one of the most agile figures who fought for and succeeded in having them set free. 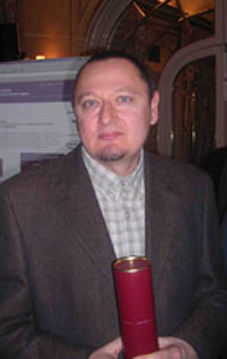 Dr Popov has published a large number of books and articles. His best known book. Social Conflicts – Challenge for Sociology, first came out in 1983 but was banned and destroyed on the order of the court. It was reissued in 1990. His book Contra Fatum, also published in 1990, is just as important. He edited two significant collections of studies, which, he, himself wrote as well: The Serbian Side of War (1996) Search for Normal Life (Serbia, 2000-2007). Mirjana Karanović is one of the best and most famous Serbian actors. She began her career in theatre in 1983 with a role in Bertolt Brecht’s Threepenny Opera, and continued on to play a series of roles in her native Belgrade as well as in Serbia and internationally. However, what separates Mirjana from most artists and public workers in troubled times are her bravery and professional integrity. Her solid and persistent position towards art and her profession would alone be sufficient to consider her as a candiate for an award for the advancement of the culture of human rights. Her talent, understanding, and honesty are put towards her portrayals of women belonging to groups that are no longer desireable. She has also advocated much more efficiently than others for the fight against national, racial, religious, and social discrimination. The «Konstantin Obradović» award isn’t Mirjana Karanović’s first award. She has received numerous awards for her artistic achievements, including a Sterijina Award, a Golden Lion Award, and a Golden Laurel Wreath Award. She also recently received a Freedom Award, given to women for their contributions to the work and promotion of human rights, just states, democracy, and tolerance in political communication. The jury considers Mirjana Karanović to be not only an influential artist but also a champion for the advancement of human rights. Milorad Pupovac was still a boy when he left his village near Benkovac and moved to Zagreb to attend high school. 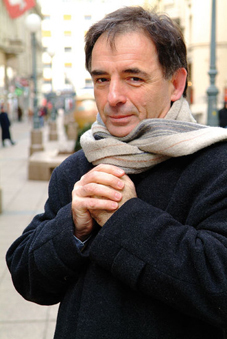 He then went on to study at the Zagreb University College of Philosophy, from which he graduated in 1977. After earning his Master’s Degree at the Ljubljana University, Pupovac continued his PhD studies and earned his doctorate at his alma mater. Pupovac was not born into a wealthy family and had to support himself through college, including, at one point, as tram brakeman. Right after graduation, Pupovac was appointed Assistant Teacher of Linguistics, and later, when he was promoted to Assistant Professor, he chaired the new Applied Linguistics and Oriental Studies Department. His reputation of scientist is corroborated by a number of books on linguistics and hundreds of articles on linguistics and related fields. Végel László is a reputed writer and essayist. He was born in Srbobran (Vojvodina) in 1941. Végel was also a journalist and editor. 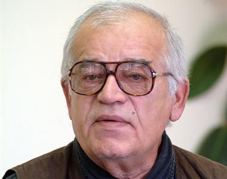 He was the drama editor of Radio – Television Novi Sad from 1980 to 1992, when he was dismissed. From 1995 to 2002 he coordinated the work of the Office of the Open Society Fund in Novi Sad. He now resides in Novi Sad as a free lance author. Végel’s books translated into Serbian include Memoirs of a Pimp, Double Exposure, Paraenesis, Abraham’s Knife, Eckhart’s Ring, Life on the Edge, Wittgenstein’s Loom, Homeless Essays, Exterritorium, Judith (plays) and Berlin Tests – Berlin Texts. Végel has won many prizes including the Kossuth Prize for life achievement. This award goes to the TV show “24 Minutes with Zoran Kesić,” which is produced by its host and his team comprising Aleksandar Saničanin, Marko Dražić, Viktor Marković, Nenad Milosavljević, Miroslav Vujović and Darko Crnogorac. All of them are credited for this show becoming the most popular satirical show on the Serbian TV scene. This team started working back in 2010, when the local satirical website www.njuz.net was launched. Njuz.net has been posting fake news under the slogan “News in the Mirror” and has to date published three books “Maybe We Didn’t Need This”, “Book for the Fair” and “The Real History of the World,” which had for months been on the Serbian bestseller list. Zoran Kesić joined forces with Njuz.net in 2013, when his friend Aleksandar Saničanin came up with the idea to launch a TV show that would satirically comment the political situation in Serbia. Zoran Kesić, Aleksandar Saničanin and the Njuz.net crew soon became an inseparable team of the now cult show “24 Minutes with Zoran Kesić”. Zoran Kesić began his TV career as a Studio B reporter in 1995. He learned the trade under the editor of the Good Morning Belgrade program Đoko Vještica. He worked as a journalist, TV show and author on B92, Metropolis, Prva and O2 for over 20 years. The best known TV shows he authored were Bg. Direct, We Interrupt this Program, Misinformer, Closing Time Republic and 24 Minutes with Zoran Kesić.